Forensic sculptor Eve Duncan is a complicated woman. She has survived her years in the school of hard knocks, although not without scars. And she has suffered the worst event a parent can, losing a child to abduction. Now she helps other stricken parents by reconstructing skulls so that victims can be identified. In this, she is one of the best. In addition to her work, she has Joe, a wonderfully understanding man with many military and government connections. But all this abruptly changes when Eve gets a phone call from Montalvo, a drug lord in South America in need of her services. Eve initially refuses to make the journey, but after he promises to use all his resources to find her daughter's killer and her body, this scarily single-minded and stubborn woman agrees to go, despite knowing that she will most likely be killed. Eve is then simultaneously repelled by and attracted to Montalvo. 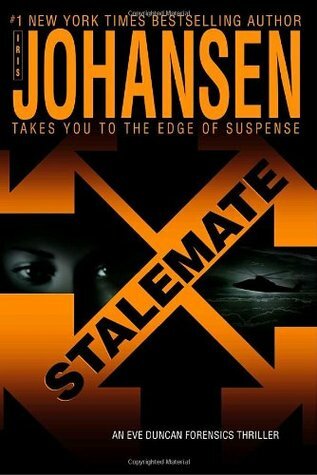 Johansen strikes again, creating both a nonstop thriller and a character study about an individual who has long seen the world in black and white, and now perceives only shades of gray.